Prosecco was traditionally used as the name for both the grape variety and the sparkling wine produced primarily from it. Prosecco di Conegliano-Valdobbiadene, Prosecco di Conegliano and Prosecco di Valdobbiadene all had DOC status, and there was also an IGT zone surrounding it. 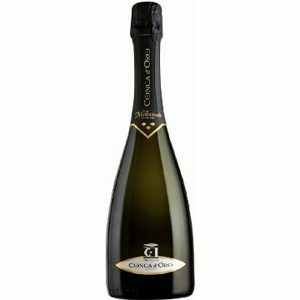 When the higher DOCG status was sought for Prosecco di Conegliano e Valdobbiadine, it became a complication that the grape (which had become cultivated over a larger area) and the protected designation of origin had the same name. To resolve the issue, the old synonym Glera was officially adopted for the variety at the same time as the DOCG was approved in 2009. Glera is noted for its high acidity and a fairly neutral palate, making it ideal for sparkling wine production. The aromatic profile is predominantly white peaches.